As someone that has suffered from panic attacks and anxiety, I know how difficult it can be to live with. When my anxiety was bad I started avoiding all kinds of situations and over time my world began to massively shrink. I didn’t go to social situations, elevators and on bad days I could barely leave my house without going into a full-blown panic. If you’re suffering from anxiety I want you to know that this is a treatable mental illness. Today, I live my life almost completely anxiety free. In addition to being treatable, it is also a lot more common than you probably think. he Anxiety and Depression Association of America estimates that 40 million adults (18.1% of the population) in the US suffer from anxiety every year. 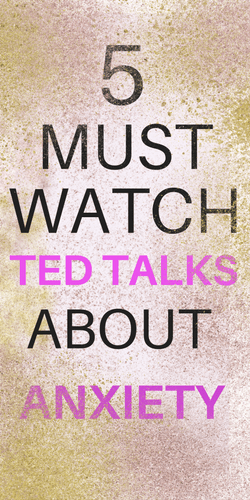 If you’ve been reading this blog for any length of time you will know that I am obsessed with TED Talks. My anxiety has really been kicking this last week so I’ve been listening to TED Talks about anxiety for the last couple of weeks. I wanted to share some of my favorite ones with you, I hope you will find them helpful. 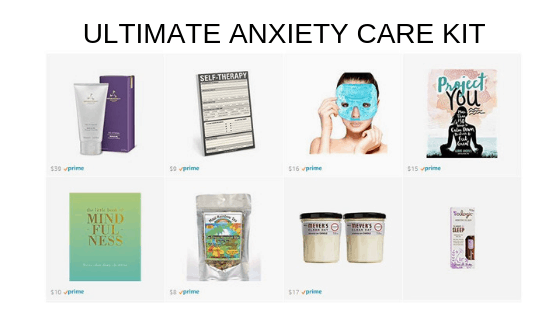 If you’re looking for more info about anxiety checkout my Anxiety Survival Guide. I find that listening to other people’s experiences coping and managing anxiety helps me manage my own anxiety. If you’re looking for more inspiration be sure to check out my post on my favorite mental health podcasts. If you spend a lot of time and energy worrying about things that are never going to happen this is for you. Less than 8% of the things that we worry about ever even actually happen. In this TED Talk Angela Cebrano talks about how she now confronts her fear like a warrior. She started taking up new hobbies to help her confront her fears and take control of her anxiety. When I was having panic attacks I remember feeling like my world was shrinking. I was so claustrophobic I couldn’t go in elevators, certain cars or airplanes. I realized if I never confronted my fear I would not be able to live the life that I want to live. I started confronting my fears with the help of my therapist and it helped me take control of my anxiety. This TED Talk Angela tells the story of how she did a similar thing by confronting her fears head-on and putting herself in uncomfortable situations on a regular basis. When you have anxiety it’s easy to start avoiding situations that make you anxious. However, the more you avoid the things you are afraid of the more your fear grows. Dawn Huebner shares her experience using Cognitive Behavioral Therapy to help her son overcome anxiety. The Cognitive Behavioral Therapy helped Dawn teach her son to take action even if he was unsure or worried. My therapist took me through a similar process where he helped me start doing things that made me a little uncomfortable and working up to confronting bigger and bigger fears. In this TED Talk Allison Sommer discusses her experience with Obsessive Compulsive Disorder and intrusive thoughts. She shares her experiences living with panic attacks and describes what they feel like. Allison is on a mission to help people understand what it’s like to live with panic attacks and how she copes with them. This might be difficult to watch if you suffer from panic attacks (watching it made me feel anxious) but it would be good to show someone in your life that doesn’t understand what having a panic attack is really like. This is one of my favorite TED Talks! Jordan does a great job sharing what it’s like to have high functioning anxiety. I really relate to this because I am very high functioning in certain situations in my life but have anxiety in specific situations. People are usually surprised to learn that I have had crippling anxiety for a large part of my life. I have done tons of traveling but getting on airplanes is a constant struggle for me. People see pictures of me going on trips and traveling around the world and are often shocked when I tell them I can barely get on an airplane and I freak out every time I have to go to the airport. In this TED talk about coping with anxiety, Olivia Remes does a great job describing what living with anxiety likes and how she deals with it. She does a great job describing how trying to avoid anxiety can make you feel lonely and isolated. This would be a great TED Talk to have a friend or family member watch that doesn’t understand anxiety or what it feels like. She also suggests that you take action right away and speed up your decision-making process to try and cut out the amount of time your anxiety has to build before you get started. This is a great tip and not letting myself stay in the “what if” phase and taking action right away has helped me manage my anxiety. This TED Talk discusses how she overcame the anxiety that accompanied her Obsessive Compulsive Disorder. If you want to hear a story about someone overcoming a really high level of anxiety this is a great TED Talk to watch. Solome shares her experiences of having severe anxiety as a teenager and how she used her own struggles with start helping other teens and their families understand and manage anxiety. 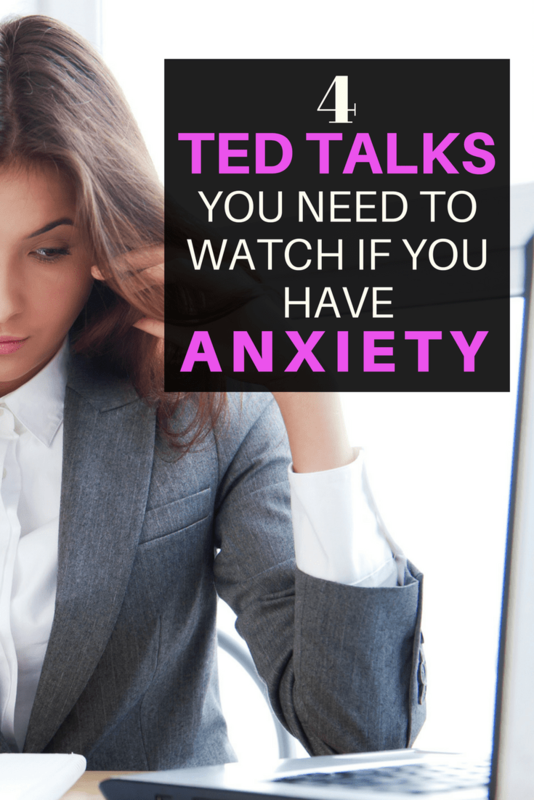 Thanks for checking out my post of TED Talks about anxiety. Managing symptoms of anxiety can be really difficult but you can start building tools and resources to help you on your journey. 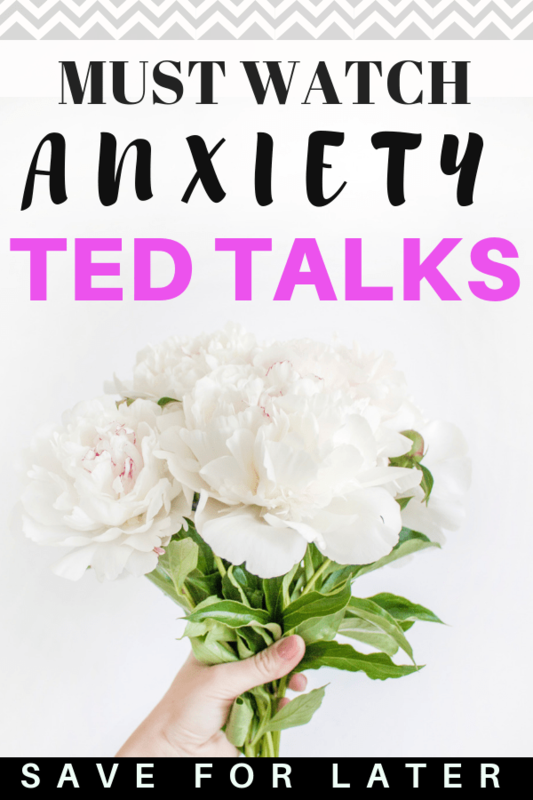 I have learned a lot from listening to TED Talks about anxiety and I hope they give you some new insight and ideas too! 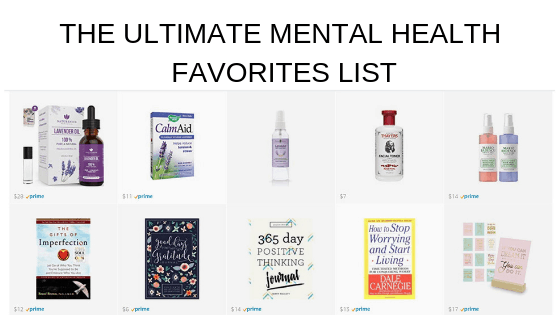 I have a ton of mental health resources on my site that I hope you’ll check out like my free mental health planner or my posts related to anxiety. Want to watch these later? Post this article to your favorite Pinterest board!